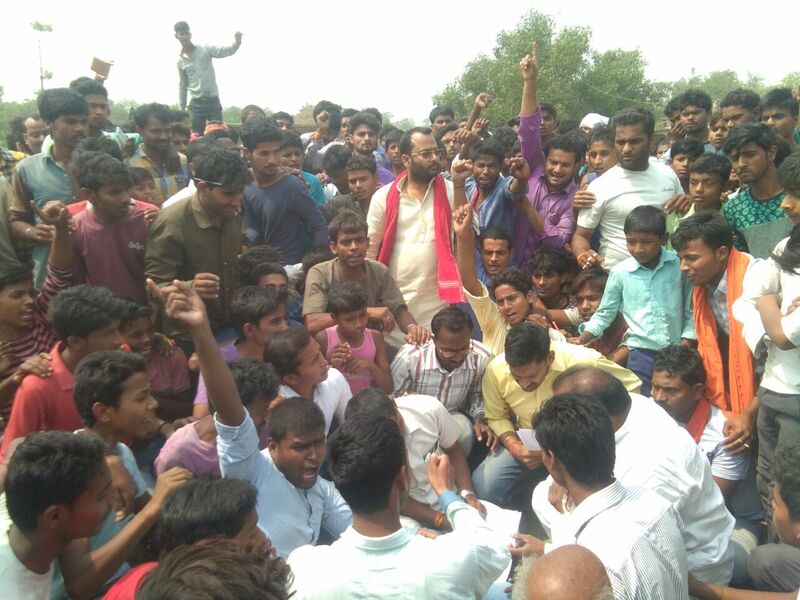 The protest have started again in Dudahi village, and people are demanding Rs 50 lakh as compensation. 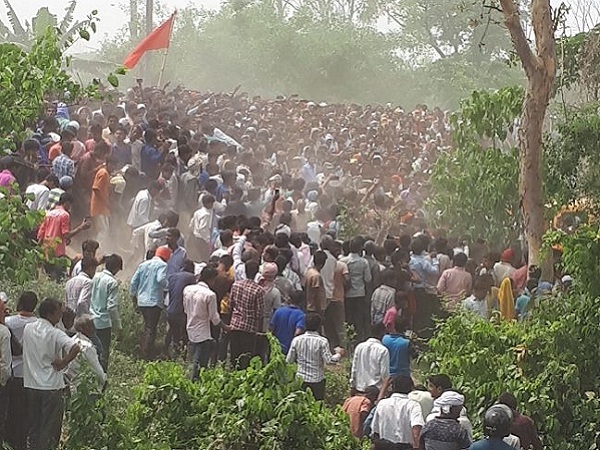 Thousands of angry residents are gathering at the accident site to protest the deaths of 13 children in Kushinagar. 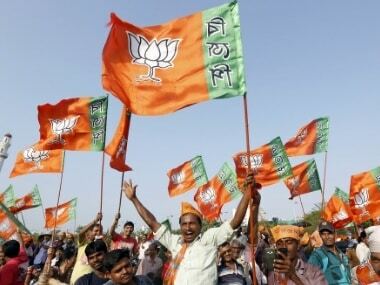 Anger against Chief Minister Yogi Adityanath and his administration is rising, media reports have said. Principal of the Divine Mission School, KJ Khan, and the school owner have both reportedly gone missing. "Railways trying to eliminate unmanned crossings, but people will still need to be careful," says Railway Board chairman Ashwini Lohani. "Even after we eliminate unmanned railway crossings, or convert them to manned crossings, people will have to be careful. No step can be foolproof against negligence." 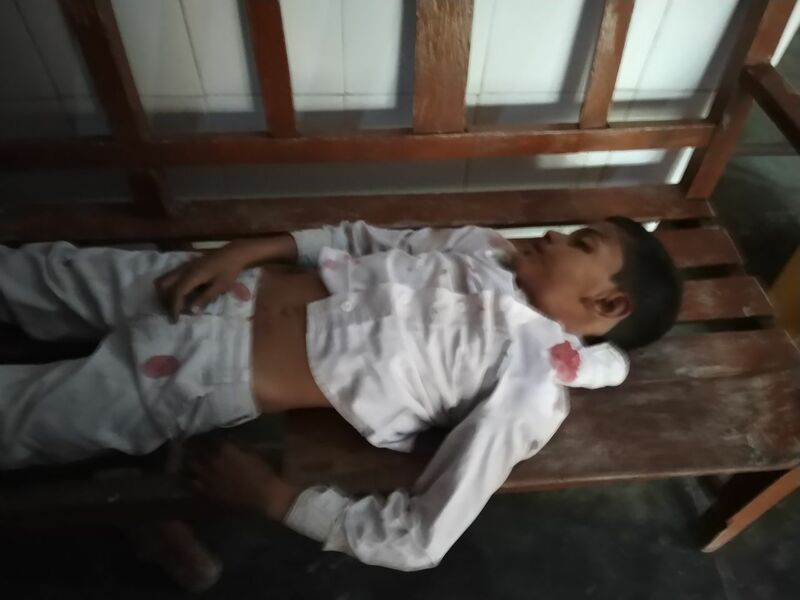 Railway Minister Piyush Goyal has released a statement, saying, "I am deeply anguished and pained by the loss of lives of young school children at an unmanned level crossing (UMLC) in Kushinagar, Uttar Pradesh. My thoughts are with families of the deceased and I pray for the early recovery of the injured. The Ministry of Railways will provide an ex-gratia amount of Rs 2 lakh for kin of the deceased, Rs 1 lakh for those with serious injuries and Rs 50,000 for those with simple injuries. I have ordered a senior level enquiry into the incident. We stand committed to take all possible steps to avoid such accidents in future." "I express my condolence over the unfortunate incident. I spoke to the railway minister on this and we have got to know that this happened due to the driver's carelessness. 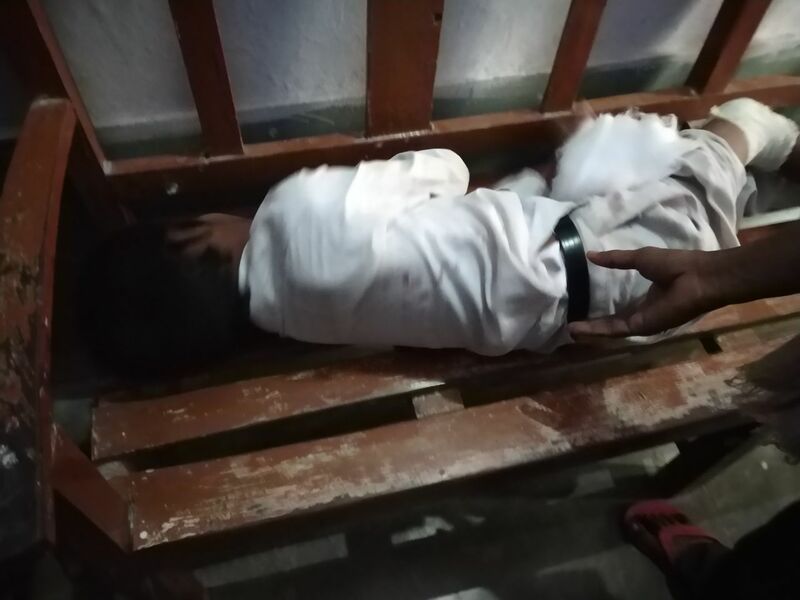 I have met the parents who lost their children and have assured them that strict action will be taken against whoever is found guilty in this accident," said Uttar Pradesh chief minister Yogi Adityanath. "The fault appears to lie with the driver of the van, who it is said, was driving with earphones on. I have instructed the commissioner at Gorakhpur to investigate. 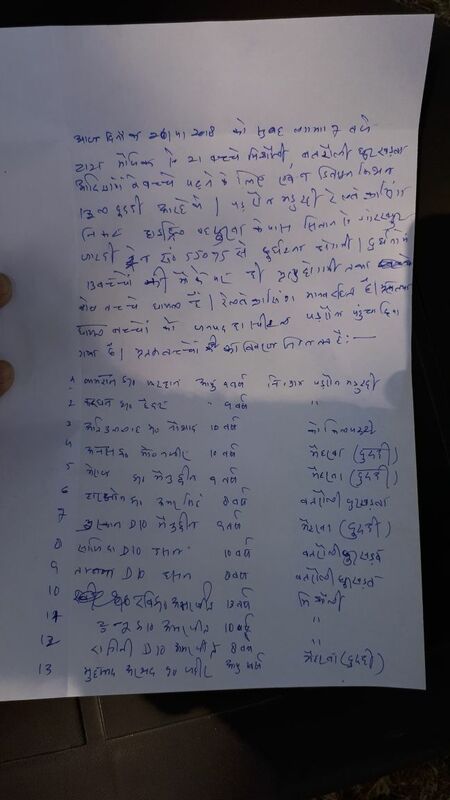 An FIR has been registered and the probe has begun. 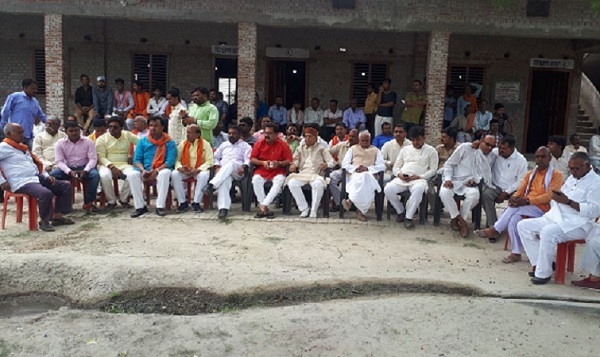 We will take strict action against those found guilty," said Yogi Adityanath, Uttar Pradesh chief minister. "The railways' aim is to stop not just unmanned railway crossings, but also manned crossings," says Railway Board chairman Ashwini Lohani. "There is a hut with a guard present at the manned railway crossings. But at unmanned railway crossings, there is nothing. The onus is on commuters and people to be careful." "We have ordered an enquiry, which will reveal what had happened. There was visibility of 800 metres, and the driver should have seen the train coming," said Railway Board chairman Ashwini Lohani. Angry over the accident, locals have started protesting near Dudahi. They are demanding the ex-gratia to be raised to Rs 50 lakh and also want a manned railway crossing at the accident site. "I just heard about the sad accident in Kushinagar. I express my condolences. 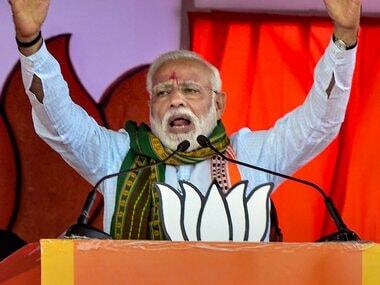 I'm sure the Uttar Pradesh government and the railway authorities will conduct the necessary investigation into the incident," said Prime Minister Narendra Modi while addressing Karnataka BJP leaders. "There were nearly 25 school kids in the van. The children were on their way to their school when the incident took place. The incident took place near a rail crossing. The injured have been taken to the hospital. 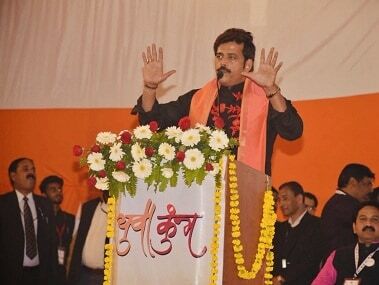 Many residents of the area had gathered when the incident took place," Zee News quoted Additional SP Hari Govind as saying. Sources have said that the school vehicle driver was asked to stop by the people standing near the crossing. By the time he stopped, however, the van was already on the railway tracks. President Ram Nath Kovind, Vice President M Venkaiah Naidu & Prime Minister Narendra Modi express grief over death of children in #Kushinagar accident. Absolutely shocking news! My heart goes out to the families that have lost their children in the #Kushinagar accident. May the young hearts rest in peace. I wish those injured a speedy recovery. News18 reports that an accident relief medical train from Gorakhpur has been dispatched to the site of the accident. "It was unmanned level crossing gate at Behpurva, with Gate Mitra deployed there. He tried to stop but unfortunate incident happened at unmanned gate 45 near Dudhi station in Banaras division," the report also quoted Railways spokesperson Ved Prakash as saying. My condolences on t loss of precious lives of children in t unfortunate train accident at Kushinagar. May Almighty give strength to t bereaved families to bear this colossal loss. 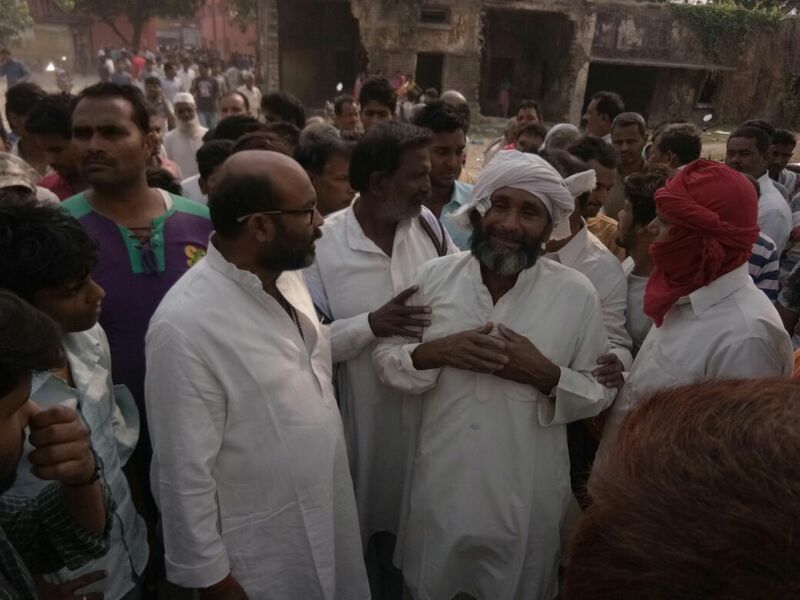 I hav directed @adgzonegorkhpur to reach the spot immediately and supervise t relief & rescue work. The injured are also getting medical assistance from district administration. ANI reported that Chief Minister Adityanath has directed the district administration to provide all support and medical aid. 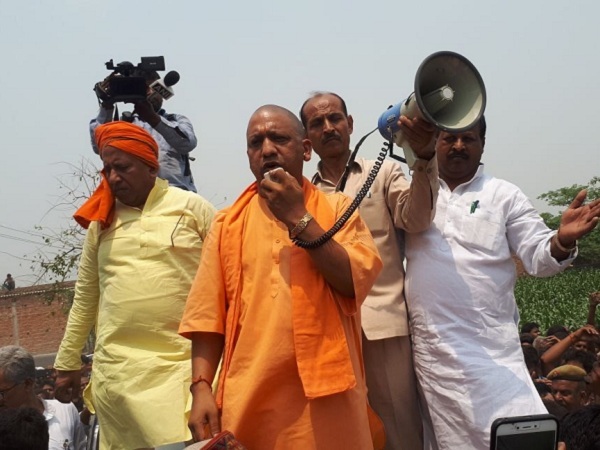 Latest updates: As Uttar Pradesh chief minister Yogi Adityanath reached the accident site to talk to the protesters, hundreds of people gathered to demand more compensation and swift action. Meanwhile, Railway Board chairman Ashwini Lohani said all unmanned railway crossings in the country will either be closed or be converted to manned crossings soon. 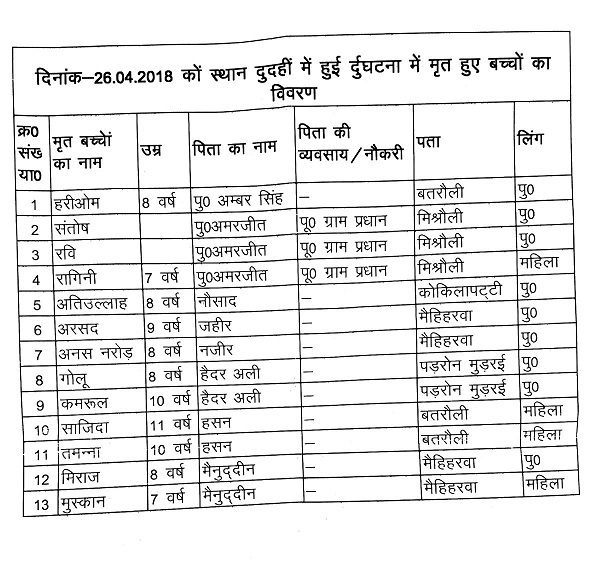 The district magistrate in Kushinagar has ordered all the schools in the district to remain shut. Congress MLA Ajay Kumar said that continuous demands for a manned railway crossing were ignored. Locals near Dudahi have started protesting and are demanding a manned railway crossing at the site. Prime Minister Narendra Modi and President Ram Nath Kovind have expressed sadness over the accident. Uttar Pradesh chief minister Yogi Adityanath has rushed to the accident site. According to 101Reporters, the driver of the vehicle was warned by people near the crossing to stop the vehicle. However, by the time the driver stopped, the vehicle was already on the railway tracks. The Uttar Pradesh chief minister has directed the district administration to provide all medical assistance. 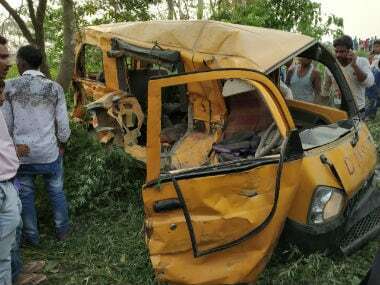 At least 13 school children died on Thursday after the vehicle carrying them collided with a train at an unmanned crossing in Uttar Pradesh's Kushinagar. Reports also said that eight children have been injured in the accident. The children were students of the Divine Mission School and were killed on the spot. According to news reports, the driver of the vehicle was also killed when the accident took place at around 7.10 am. 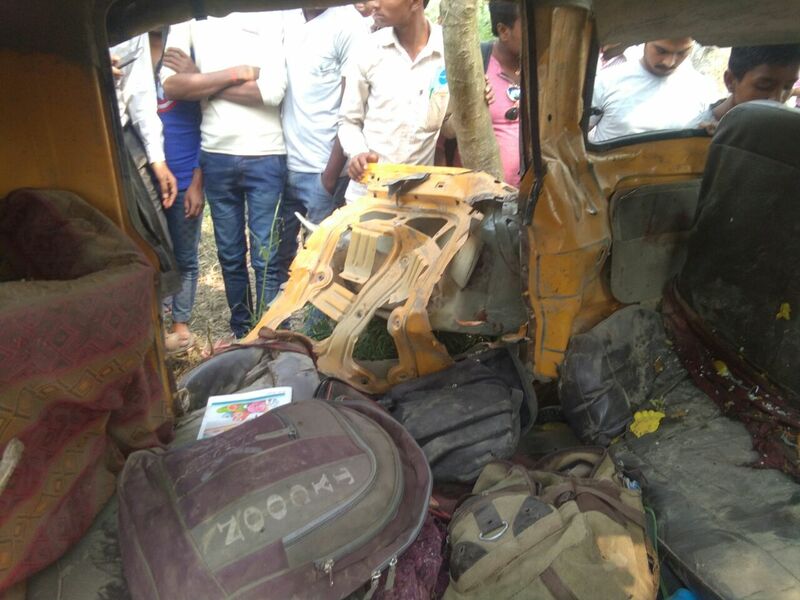 According to police officials, the collision between the school van and train number 55075 occurred at an unmanned railway crossing in Bahpurva, which falls under the Vishunpura police station limits, about 22 km from the district headquarters. 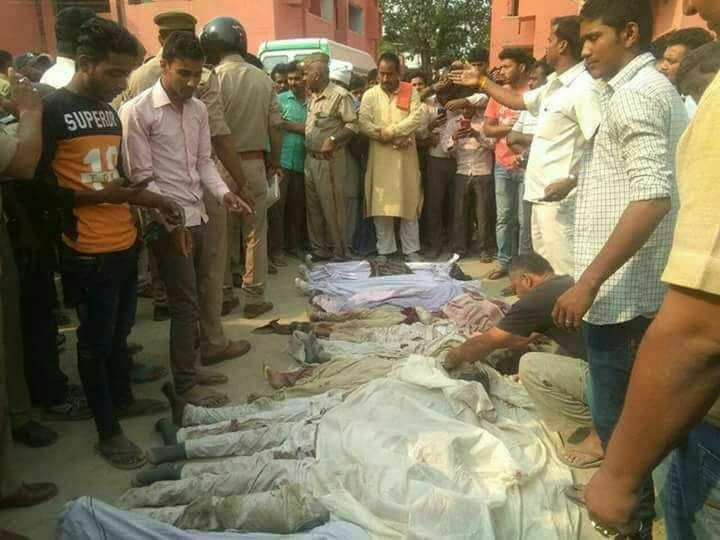 News18 reported that Chief Minister Yogi Adityanath announced ex-gratia of Rs 2 lakh for the kin of the deceased children. 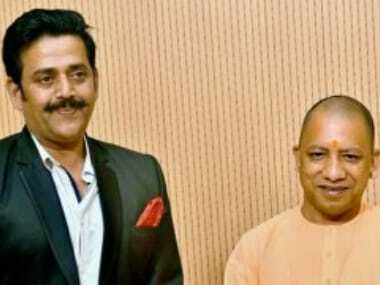 He has also directed Gorakhpur commissioner to conduct an inquiry into the accident. Senior district officials have also rushed to the spot.